This John Hardy necklace is part of the Classic Chain collection. 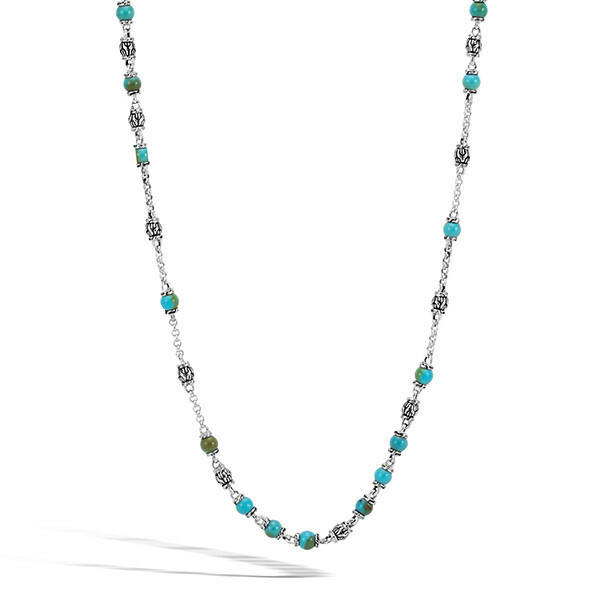 Beads of smooth turquoise and textured sterling silver mingle with sterling silver round links to create this 28" piece. While great for layering, this John Hardy necklace can also be worn solo. Necklace NOTE: Color may vary.